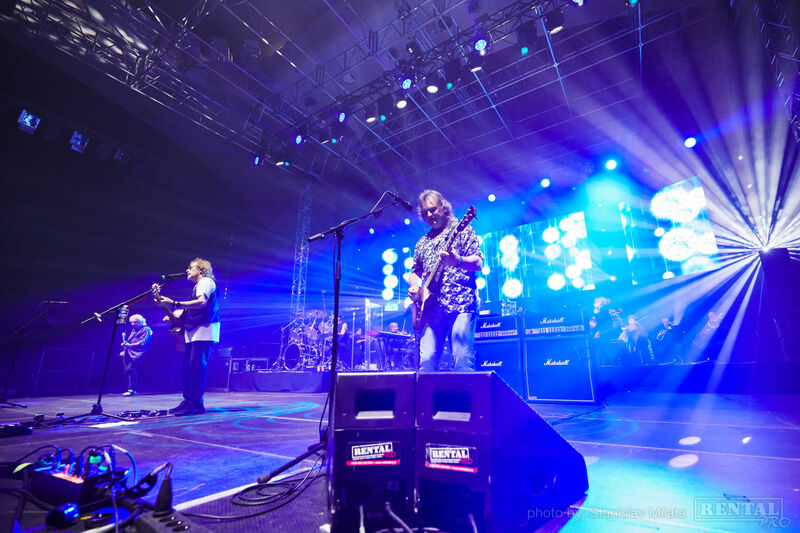 Although nobody knows who Alice is, virtually everyone knows the chorus to the song. 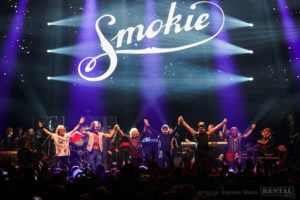 British rock band Smokie have been steadily touring ‘Living Next Door to Alice’ and a raft of their other hits since the Seventies, and their success continues to fill arenas all over Europe. 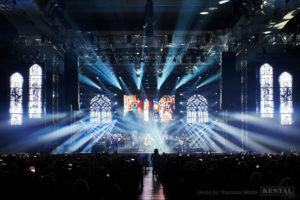 Czech Republic production supplier RENTAL PRO has just brought home a 3-country tour with the band, deploying a substantial NEXO STM Series modular line array system as main PA. 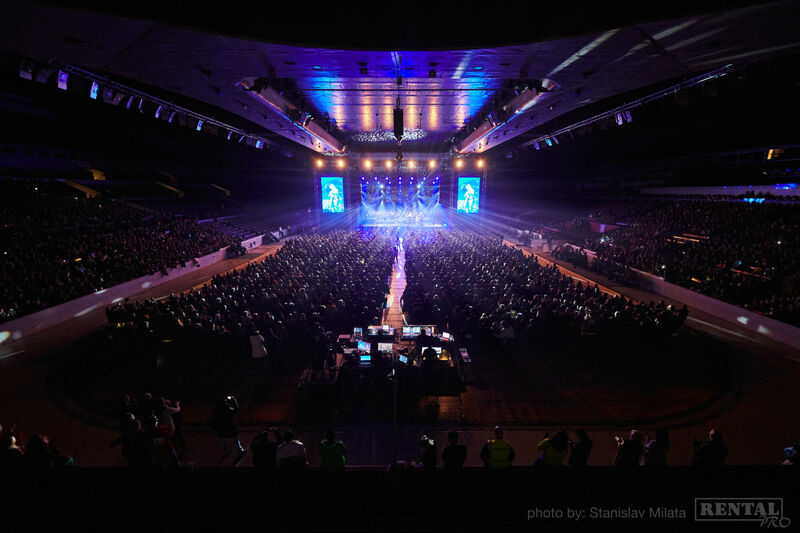 Playing 20,000-capacity arenas, the Smokie tour of Czech Republic, Slovakia and Hungary completed what their front-of-house engineer Sean Greenaway describes as their busiest year in a decade. 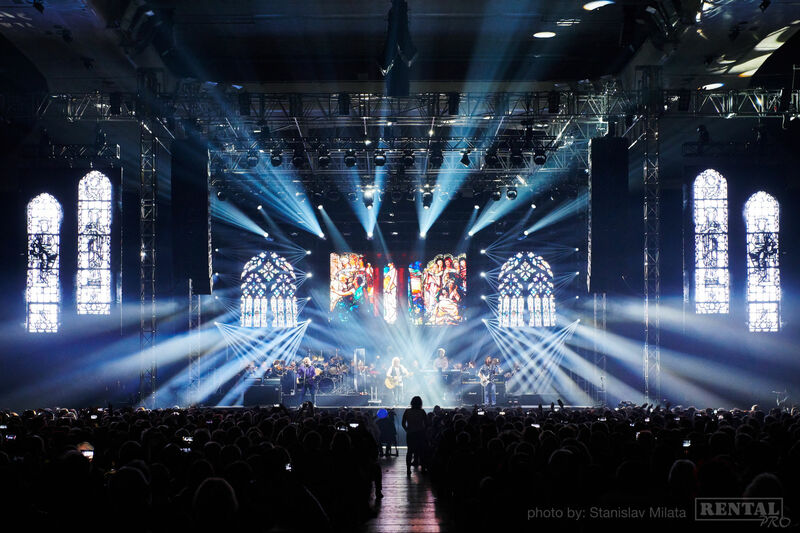 Accompanied by a 40-piece symphony orchestra, the 5-piece band continues to deliver sell-out shows with high production values and a massive dose of nostalgia. 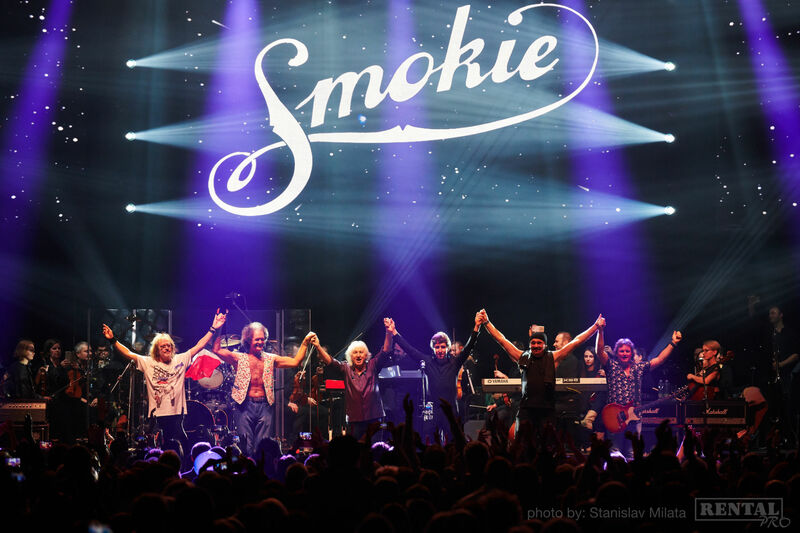 Kicking off their 2018 tour in Czech Republic, Smokie chose RENTAL PRO as their production supplier. 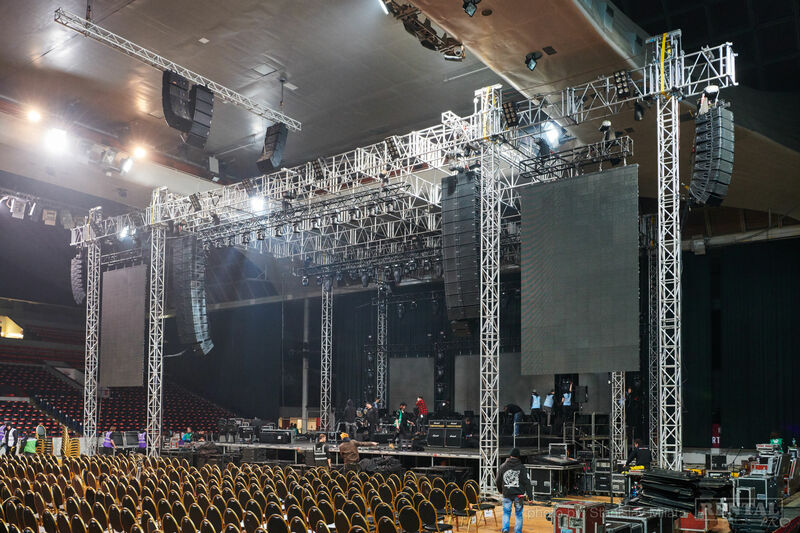 One of the biggest providers of NEXO PA systems in the region, RENTAL PRO worked with Sean Greenaway to create a versatile inventory of STM Series line array which could scale up and down to handle the different requirements of the arenas and theatres on their itinerary. 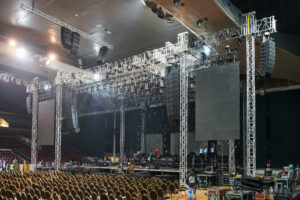 Typically, for an arena show, the Smokie PA was set up with 12 sets of STM M46 main and B112 bass modules, plus two downfills of the omnipurpose STM M28 double 8” cabinets, and a total of 24x STM S118 subbass cabinets. 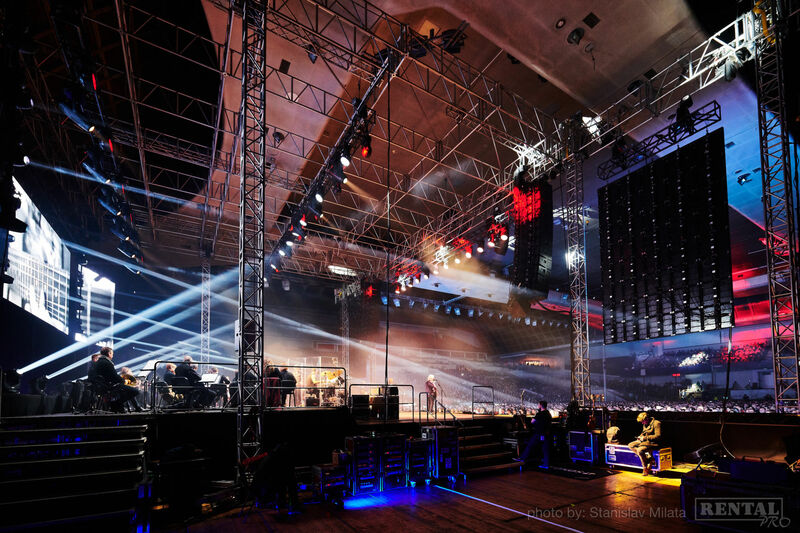 The largest venues added sidefill arrays of 9x STM M28s. Front fill came from additional M28 cabinets, and a full complement (over 20 channels) of stage monitors included different NEXO PS Series models as well as the 45°N-12 line monitors for the musicians, main band members being on in-ears, all mixed on a Yamaha PM5D monitor console.